The big trend for the latter part of the twenty-teens (that is, the decade in which we now find ourselves) will be wearable technology. This is already happening to a certain degree, of course: smartwatches are out in the marketplace (let's be honest, though. The reason that they haven't been heavily taken up is that Apple haven't released one yet) and heads-up displays like Google Glass are only going to be seen more on the streets. But, as the RFID chips that we already carry in our debit and credit cards become cheaper and easier to build, the era of smart clothing is getting closer all the time. A fascinating article for Business Of Fashion shows us what we can expect to see in our clothes stores in the next ten years or so. If you still believe in privacy, it makes for a disturbing read. The ability for a shop to pluck our colour preferences, shoe size or loyalty to a brand from a connected mobile device is not that far away, and that data can as easily be embedded into a chip in our clothing. It remains to be seen whether the Nike Store would ever refuse access to someone with a history of shopping for Adidas clothing, but the main thrust of the article is pretty clear: the relationship between us, our shopping habits and the high street is about to become one heck of a lot more complicated. In the light of the recent raid of millions of customer's data from American big box store Target, I think we need to stay informed about the way retailers are likely to use technology to "enhance the shopping experience." Information is power, after all. But I remain optimistic about smart clothing. For one thing, there's no reason why the flow of data can't go both ways. I mentioned in a post last week that transparency is going to become a major trend in ethical fashion in 2014, and these new technologies are likely to become a major factor in allowing that to happen. Imagine you buy a jumper from Gap that has an embedded chip containing the tale of the journey it took to get to you. Scanning the chip would allow you to track where the textiles in the jumper came from, who wove it and where, and its carbon footprint. Perhaps there could even be links to website forums where you could chat to the workers directly. In the same way that microchipping your pet is a common practice now, chipping your clothes could become the norm in ten years or so. That's bound to have a knock-on effect: if we become more interested in where our clothes come from and who makes them, we're more likely to be concerned and speak up if abuse comes to light in the system. The connection between us, our clothing, and the worldwide impact that it has can be strengthened by using technology that allows us to make those connections. There's no reason to be afraid of the way the High Street is planning to use smart and embedded tech, as long as we're aware that the camera can face both ways, and that as they are watching us, we too can be watching them. A common story that's done the rounds following the rise in use of genetically-modified crops through agri-business giants like Monsanto relates to the tragic knock-on effects. The seeds that these companies sell are expensive and sterile, meaning that poor farmers can't keep some of the seed from one year's crop to start another. This leads to a spiral of debt and poverty that has caused nearly a quarter of a million farmer suicides in the last ten years. It's a shocking indictment of how business can run rough-shod over people's lives. It's also not quite the truth. The suicides are real enough, and the method: drinking pesticides, often supplied by the same companies that provided the seed, would seem to support the received assumption. It's a compelling tale that we've commented on here at The Pier. 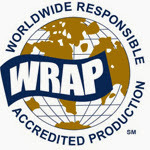 We've even supported a documentary film, Dirty White Gold, on the subject. But there's another side to the story, with an equally viable villain. Banking reform in India has provided much the same benefits for the sub-continent as it has for the rest of the world. Freed from government oversight, Indian banks have become more competitive and, viewing farming as unprofitable, have heavily scaled back loans to the agriculture sector. Predatory money-lenders have moved into this vacuum, and their massive rates of interest have led to predictable results. Agriculture is one of the biggest workplace providers in India, and yet it is plagued by poverty. The suicides are concentrated in five states, which coincidentally have the highest incidences of GM crop take-up and the lowest levels of bank investment. Many of the farmers who took their own lives were not even farming cotton. We can't minimise the catastrophic effect that the needless deaths of these farmers have had, but at the same time, we shouldn't place the blame firmly at one business sector's door. Anoop Sadanadan, a political economist at Syracuse University whose study is reframing the conversation over rural agrarian suicide, notes that there are many factors at play, from social isolation to poor access to mental health care. It's a terrible situation, but also a highly complex one. These days, it's as important to keep an eye on the aftermath of a story as its initial release. It's all too easy to fall for the pat response, the easy answer, the demand for change that we can put onto a placard or condense down to 140 characters for a tweet. Often, the truth is not so easily synopsised. It's worth your while reading the full report on the GMO Suicide myth, available at the link below from Discover Magazine. A fascinating overview/chat/gallery went up on Ecouterre in the New Year. They asked 37 movers and shakers in the ethical fashion biz for their predictions as to what 2014 would hold for the industry. The whole thing is certainly worth a look, but it's interesting to parse out some of the recurring themes of the piece. Firstly, most experts seem to agree that transparency is going to be increasingly important in 2014. Consumers are becoming more and more aware and inquisitive about the origins of their clothes, and savvy eco-friendly manufacturers are plugging into that, letting their customers (virtually) meet the people who produce their clothes. Transparency has another benefit, that becomes vital when you consider just how many miles a t-shirt will travel in its journey from cotton field (or perhaps nettle patch or hemp hollow) to your wardrobe. Enabling a clear chain of information about the many stages that a modern piece of clothing goes through makes it easier for manufacturers to clamp down on abuses to their well-meant but loosely-applied working practices, and for those abuses to be reported and halted. This takes us neatly onto the next big concern from many in the interview chain: respect for workers. The Rana Plaza collapse will be seen by many as a watershed in global labour relations, as it showed just what a poor state the relationship between workers, factory owners and the conglomerates that pay them had become. In the chase for profit, the workers are very clearly the victims, and the spike in industrial action following Rana Plaza has shown that they have had enough of being treated as second-class citizens. Support for worker's rights, which includes union recognition, has to be a part of the ethical fashion blueprint. "I believe that in the high-end sector there will be a rush to re embrace artisans and manual skills, and that crafts will become a tool for modern luxury once again." Quite so. The skills at play in many hand-crafted goods that savvy suppliers like House Of Wandering Silk, Senhoa and Quasi ship to the global market show that there is a real demand for objects that mix art, skill and beauty in a wearable form. I agree with Orsola: we're likely to see some stunning pieces this year that have the most humble of origins. Picking trends in the New Year is inevitably an exercise in defeat: we're still waiting for the tin-foil clothes and wearable tech that future fashion gurus have insisted will be on our backs soon. But general trends like the three I've picked out would seem to be not only sensible, but inevitable. So what do you think? Is there something obvious that I've really missed out on? We're at that point in the month when the financial situation is looking a little bleaker than usual. The savings have been roundly hosed, and the cupboards are looking a bit bare. You've finished off all the Xmas and New Year leftovers (even the nuts and Turkish Delight), and payday is still a couple of weeks off. Here at the Pier, we understand your pain. That's why, if you need promotional hoodies or windcheaters for your spring incentives or campaigns, we can offer a little help. As long as you place your order before the 31st January, we can offer this fantastic deal. I don't think you can make it any simpler or fairer than that. The offer applies to all of our huge range of hoodies and windcheaters from big name brands like Hanes, American Apparel and All We Do Is. Just give us a ring on 020 8398 2847, drop us an email, or use the Quick Quote button on the header of the Pier32 website. 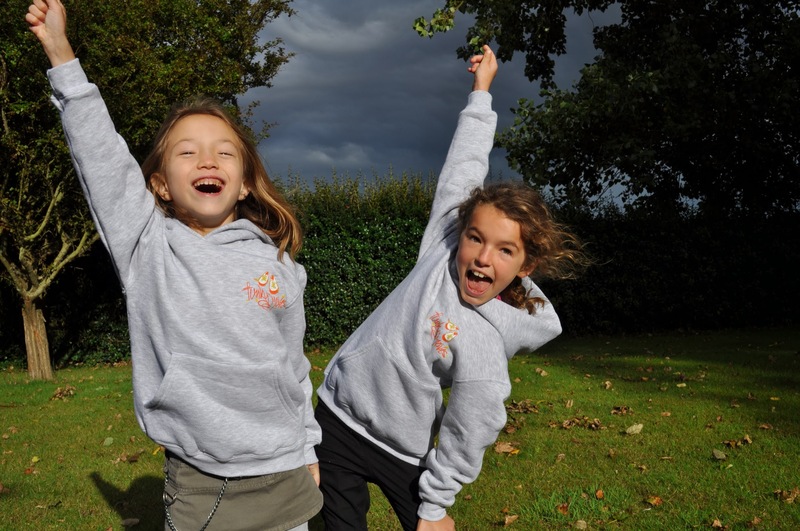 Whether it's for promotional work, charities or universities, sports teams, clubs or organisations, if you need hoodies or windcheaters, now's the time to snap up a bargain. Chat to Guru Ian or Gerry the Voice today! We're a big fan of silk here at the Pier. We've already bigged up the brilliant House Of Wandering Silk on the blog (and indeed put our money where our mouth is by treating Mrs. View to one of their fantastic scarves for Christmas). It's a sustainable, and relatively cruelty-free fabric. Now, two experts living in Madagascar have created the ultimate in silk-wear. It's not exactly what you'd call affordable. In fact, they've come up with something that's unique and nearly priceless. Fashion designer Nicholas Godley and textile guru Simon Peers have collaborated in a project that is as mad and glorious as any I've come across as a fashion writer. 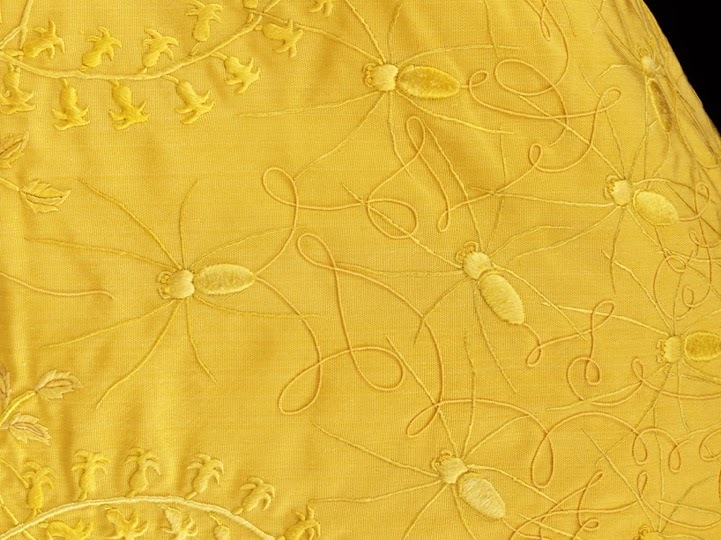 They have spent the last three years creating an astonishingly beautiful embroidered cape out of golden spider silk. The process has not been attempted in over a hundred years, and it's not surprising when you consider just how labour intensive it is. They employed a team of over 80 experts to seek out the elusive golden orb spider from the Madagascan jungle. When found, the spiders were milked to produce the lightweight, perfectly cylindrical silk that was eventually woven to create the stunning final product. The silk of 1.2 million spiders has gone into the cape, which is amazingly durable considering its apparent delicacy--the golden orb spider produces silk thread that's virtually unbreakable. "I hate sounding pretentious, but what we wanted to do here was produce something that was a work of art. I feel like what we’ve produced in some ways is more exceptional because of the extraordinary amount of effort that went into it. If we were doing all of this to make money, I could think of much, much easier ways to do it." Personally speaking, I'm glad Nicholas, Simon and their team made the effort. They've created an artifact that shows how a collaboration between man and nature can be much more than the sum of its parts. The cape is currently on loan to the American Museum Of Natural History in New York. Check the link to My Modern Met for more pics. Trigger warning: there are images of the spiders there, and the golden orb is the size of a truck. Welcome back. I'd like to kick off our 2014 posting schedule with a nod to a friend of Pier32, who are taking the inevitable promise to be a bit more active in the New Year more seriously than most. Funky Moves offer street dance classes for kids aged between 4 - 14 in various locations around South West London. Their teachers are all professional dancers who mix up a fun and funky attitude with a wealth of dance experience. They teach all the latest dance moves and techniques to a soundtrack of the hottest beats, fusing street and commercial dance with tons of enthusiasm! Later this month, Funky Moves are having an open day at their new Balham studio where you can watch a performance, meet the team and maybe pick up a couple of moves yourself! If you think you have a little Ashley Banjo in the making (or if you reckon you've got what it takes to be the next king or queen of the street dance scene), why not pop along and take a look? Admission is free, and it promises to be a great day. Funky Moves OPEN DAY ON 22ND JANUARY. The studio is at La Retraite School, Atkins Road, Clapham Park, Balham, London, SW12 0AB. Did I mention that all trial classes for the day are free? If you want to know more, contact Funky Moves through their website or Facebook page, or chat to Alice on 07810 431101.